While working on a means to bridge the gap between general relativity and quantum theory, physicist Koshen Handa had an incredible encounter: he began receiving messages from a being identified as OCOT of Pluto. Handa, hardly a believer in the occult, immediately dismissed the voice as a result of his fatigue. Though still skeptical of the nature of the experience, Handa resolved to discover the meaning of OCOT's words. 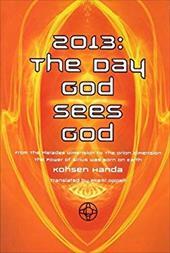 Thus began a journey into a fantastic world of spiritual knowledge and awakening.When his distillation of OCOT's message was published in Japan in 1997 as 2013: THE DAY GOD SEES GOD, it spawned a sensation among those interested in the deeper aspects of religion, philosophy and science. Handa outlines the development of NOOS theory, a radical new thought system that integrates modern physics, modern thought, religion and the occult view of the world without any contradictions. Using ordinary language bolstered with detailed scientific explanations, it is now available with an introduction written by the author. Many people do not know that the world system was designed to fail. You should know, the world was never designed to be ruled by presidents, chancellors etc, but by a king. Scripture confirms, the Antichrist is coming as a god-king, ruler and owner of all life on earth. The Bible reveals how the devil is using Democracy to garnish his son's ascendency to power. 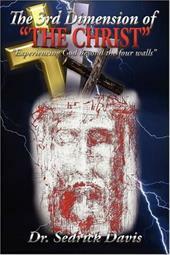 Every Christian has heard of the mark of the beast, but what many do not know is that the mark has two dimensions. The real mark of the beast is a person Reasons may be given to explain most of the world chaos, but it is clear the mark is at the center and the financial crunch is just a small but significant part You must know today what the Bible says about the happenings around us in the higher places of wickedness. 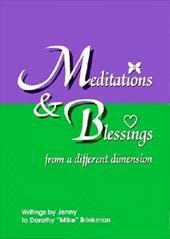 Meditations and blessings from Welcome to the Home of Your Heart are collected in this special and useful book. 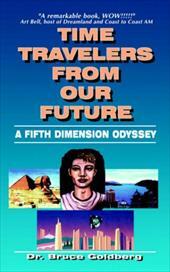 This book illustrates how time travel will be discovered in one thousand years and documents how these futuristic humans have traveled bask in time to interract with us throughout history and are here with us today. Many self-hypnosis exercises are provided, including fifth dimension travel and teleportation, to train the reader to contact these time travelers and travel in time themself. Based on her popular workshops in Canada and Europe, "Welcome to the Fifth Dimension "is author Diane LeBlanc's guide" "to helping readers recognize and integrate their multiple dimensions." "Through examples, exercises, and channeled teachings, " "she shows us how to regain our co-creative power and live each" "day and moment in a state of grace. The key, says LeBlanc, is" "Quintessence, a self-coaching program that revitalizes the five" "most important dimensions of human existence in order to feel" "better, recover from disease, and be fully happy. 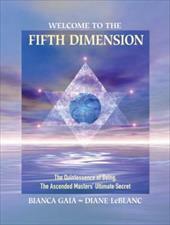 The book breaks" "Quintessence into groups of five: the five energy fields that surround" "the body, the individual's five main OSoul families, O the five" "dimensions of the human brain, and others." " The book assesses and draws on many contemporary schools" "of thought, as seen in books like "The Law of Attraction, The Power of Now, "and "The Celestine Prophecy. "It also provides original" "teachings channeled from the powerful entity LeBlanc describes" "as the "Mother Earth Consciousness," personified as Bianca Gaia" "who is LeBlanc's alter ego. Packed with charts, diagrams, and" "illustrations, this compelling book encourages readers to radically" "enhance their health and happiness by opening their minds" "to this new way of thinking. 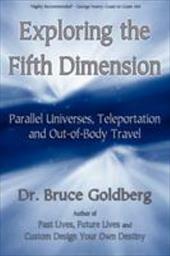 This book fully describes the fifth dimension and instructs the reader as to how they can travel to the fifth dimension to experience the past or future, parallel universes and even teleporting their physical body safely. Many case histories and easy-to-use exercises are included. How do the fundamental elements of experience impact on the practice of psychotherapy? 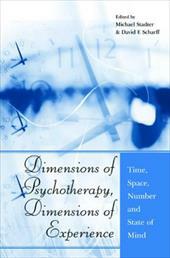 Dimensions of Psychotherapy, Dimensions of Experience explores the three basic elements of psychotherapy - time, space and number - summarising theory, setting it in context and bringing concepts to life with clinical illustrations. 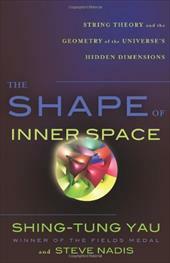 Michael Stadter and David Scharff bring together contributions describing how each of these elements, as well as their simple and direct manifestations in the physical world, also combine to form the psychological dimensions of symbolic reality both in the inner world and in the transactional world. They also reveal how, in encounters between patient and therapist, the combination of inner worlds form a new, uniquely psychological, fourth dimension that saturates the activity and experience of the other three elements. This book aims to increase our understanding of the action of the three dimensions of psychotherapy by looking at the elements that constitute the setting and process in which clinicians engage every day. 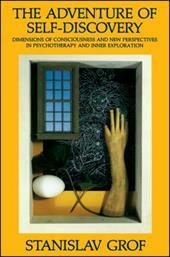 The contributors, all of whom are experienced psychotherapists and psychoanalysts, connect their thinking on the dimensions to clinical practice by illustrating their ideas with case material and examining their impact on general treatment issues. This book will be useful to practicing psychotherapists and psychoanalysts and students of psychoanalysis and philosophy. 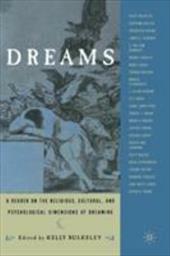 This innovative collection covers the dream beliefs and practices of various religious and cultural traditions; the dream experiences and theories of particular individuals; and the methods used to investigate and understand dreaming. Contributors include Wendy Doniger, Barbara Tedlock, George Lakoff, J. Allan Hobson, Frederick Crews, Thomas Gregor, Bertram Cohler, and several other leading scholars in religious studies, anthropology, and psychology. Issues of gender, power, sexuality, language, truth, mysticism, healing, consciousness, modernization, the boundaries of Western Science, and the role of personal experience in scholarship are examined. Bridging the gap between the world of science and the realm of the spiritual, B. Alan Wallace introduces a natural theory of human consciousness that has its roots in contemporary physics and Buddhism. Wallace's "special theory of ontological relativity" suggests that mental phenomena are "conditioned" by the brain, but do not "emerge" from it. Rather, the entire natural world of mind and matter, subjects and objects, arises from a unitary dimension of reality that is more fundamental than these dualities, as proposed by Wolfgang Pauli and Carl Jung. To test his hypothesis, Wallace employs the Buddhist meditative practice of "samatha," refining one's attention and metacognition, to create a kind of telescope to examine the space of the mind. Drawing on the work of the physicist John Wheeler, he then proposes a more general theory in which the participatory nature of reality is envisioned as a self-excited circuit. In comparing these ideas to the Buddhist theory known as the Middle Way philosophy, Wallace explores further aspects of his "general theory of ontological relativity," which can be investigated by means of "vipasyana," or insight, meditation. Wallace then focuses on the theme of symmetry in reference to quantum cosmology and the "problem of frozen time," relating these issues to the theory and practices of the Great Perfection school of Tibetan Buddhism. He concludes with a discussion of the general theme of complementarity as it relates to science and religion. The theories of relativity and quantum mechanics were major achievements in the physical sciences, and the theory of evolution has had an equally deep impact on the life sciences. However, rigorous scientific methods do not yet exist to observe mental phenomena, and naturalism has its limits for shedding light on the workings of the mind. A pioneer of modern consciousness research, Wallace offers a practical and revolutionary method for exploring the mind that combines the keenest insights of contemporary physicists and philosophers with the time-honored meditative traditions of Buddhism. The fate of our bodies and spirits after death remains part of the great unknown. People once accepted much on faith; now we demand a more critical look at such claims. What is heaven? Do angels exist? How can someone simply sense that a friend or relative has died--or see apparitions of the recently departed? 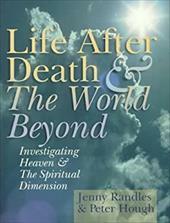 What occurs during a "near-death experience"? Investigate through firsthand accounts of otherworldly experiences and recent scientific research into the paranormal. Ponder various images of paradise throughout history and culture; "warnings of departure" sent through dreams and visions; astral traveling; shamanism; and ghostly encounters. Could a five-year-old boy accurately describe the valve placed in his heart during an operation although he had never actually seen it? Is it possible for a child to know that she had been a boy "last time" and give verifiable facts about that life she lived 100 years before? Could psychological need, forgotten memories, or physical maladies explain these circumstances? This may redefine everything you once thought true.... Sterling 160 pages, 50 b/w illus., 7 1/2 x 9 3/4. 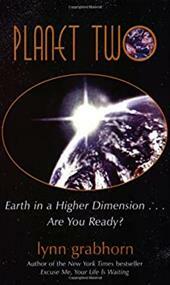 Planet Two: Earth in a Higher Dimension...Are You Ready? Expanding on Grabhorn's "new earth" idea introduced in "Dear Godl What's Happening to Us?, Planet Two provides specific information about this utopian alternative to earth including the look and feel of the place, the people who live there, as details about how to get to there. 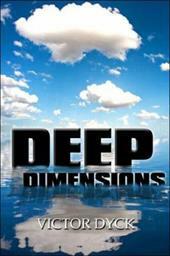 Are there other dimensions beyond our own? Is time travel possible? Can we change the past? Are there gateways to parallel universes? All of us have pondered such questions, but there was a time when scientists dismissed these notions as outlandish speculations. Not any more. Today, they are the focus of the most intense scientific activity in recent memory. 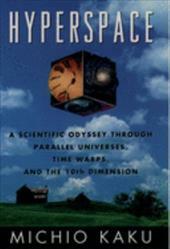 In Hyperspace, Michio Kaku, author of the widely acclaimed Beyond Einstein and a leading theoretical physicist, offers the first book-length tour of the most exciting (and perhaps most bizarre) work in modern physics, work which includes research on the tenth dimension, time warps, black holes, and multiple universes. The theory of hyperspace (or higher dimensional space)--and its newest wrinkle, superstring theory--stand at the center of this revolution, with adherents in every major research laboratory in the world, including several Nobel laureates. Beginning where Hawking's Brief History of Time left off, Kaku paints a vivid portrayal of the breakthroughs now rocking the physics establishment. Why all the excitement? As the author points out, for over half a century, scientists have puzzled over why the basic forces of the cosmos--gravity, electromagnetism, and the strong and weak nuclear forces--require markedly different mathematical descriptions. But if we see these forces as vibrations in a higher dimensional space, their field equations suddenly fit together like pieces in a jigsaw puzzle, perfectly snug, in an elegant, astonishingly simple form. This may thus be our leading candidate for the Theory of Everything. If so, it would be the crowning achievement of 2,000 years of scientific investigation into matter and itsforces. Already, the theory has inspired several thousand research papers, and has been the focus of over 200 international conferences. Michio Kaku is one of the leading pioneers in superstring theory and has been at the forefront of this revolution in modern physics. 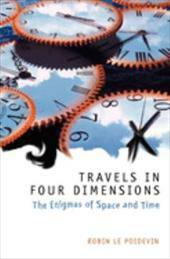 With Hyperspace, he has produced a book for general readers which conveys the vitality of the field and the excitement as scientists grapple with the meaning of space and time. 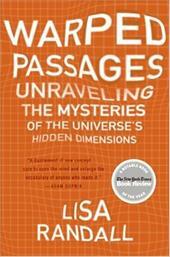 It is an exhilarating look at physics today and an eye-opening glimpse into the ultimate nature of the universe. Radiant Minds: Scientists Explore the Dimensions of Consciousness is a collection of articles from 35 major researchers in the field of consciousness studies. Their studies include: Remote viewing, physics, philosophy, shamanism, bio- and neuro- feedback for training intelligence, firewalking, spiritual healing, chanelling, unidentified aerial phenomna, and the future of education to take advantage of this new information. Does time really flow, or is that simply an illusion? Did time have a beginning? What does it mean to say that time has a direction? Does space have boundaries, or is it infinite? Are our space and time unique, or could there be other, parallel worlds with their own space and time? Do space and time really exist, or are they simply the constructions of our minds? Robin Le Poidevin provides a clear, witty, and stimulating introduction to these deep questions, and many other mind-boggling puzzles and paradoxes. He gives a vivid sense of the difficulties raised by our ordinary ideas about space and time, but he also gives us the basis to think about these problems independently, avoiding large amounts of jargon and technicality. No prior knowledge of philosophy is required to enjoy this book. The universe might seem very different after reading it. This is a true story of an awesome journey of Master Dorothy Ra Ma Seddon and Master Ruby Nariananda Mayo, who have worked eighteen years forming their part of the crystal Grid under the guidance of Lord Adonis, an Enlightened Being, Dorothy and Nari began building the western part of The Crystal Grid, while simultaineously other Advanced Light Masters were working with their world servers to build other girds around the world. 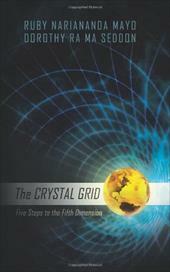 Once all the grids were completed they were joined together, The Crystal Grid is now generating powerful Light and Love Energies to encompassed the world in a web of Light, grounded into the physical world through the crystals on mountains and in many holy places. This Grid was designed to help influence and support humanity to step into the Four and Fifth Dimensions of higher consciousness and increased spiritual awareness of the need for world peace. This story reads like science fiction, but we all know that truth is stranger than any fictional story. And so here is the true story of these intrepid women and their incredible journey. Their lives simply reflect the lives of many other world servers who have sacrificed, worked, suffered and served a higher spiritual calling. From the formation of the universe to a theory of matter to life on earth, Richard Morris delivers a clear and concise picture of what we know, how we know it, and what the limits to future knowledge might be. Morris begins by discussing the various ideas about the ultimate destiny of the universe: whether it will continue expanding or eventually collapse. Next he addresses the search for a unified theory of matter that will encompass the four known forces in nature: gravity, electromagnetism, and the strong and weak nuclear forces. Finally, Morris looks at the origin of life. Once conditions were hospitable, life evolved on Earth almost immediately. But how? This is the subject of a number of theories the book outlines. 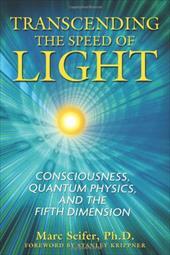 A study of the new scientific understanding of consciousness and the mind as a fifth dimension of reality - Introduces the existence of a fifth dimension--one of mind--an inner- or hyperspace where time is transcended - Shows how the barrier of the speed of light is actually a gateway demarking the fifth dimension Since the introduction of Descartes' dualism in the seventeenth century, the mind and the physical world have been viewed as disconnected entities. Yet qualities of mind such as awareness, purposeful action, organization, design, and even decision-making are present within the structure of matter and within the dimensions of space and time. The space-time continuum of scientists generally ignores the realm of the mind, though phenomena such as imaginary numbers, used by Einstein to combine space with time, are concepts that only exist in the mind. Marc Seifer contends that the inadequacy of four-dimensional models to account for our experience of mental phenomena points to the consciousness of the mind as a higher organizing principle, a fifth dimension where thoughts are as real and quantifiable as our familiar physical world. He shows that because thought enables us to move backward and forward through time--reflecting on the past and making plans for the future--this fifth dimension of mind breaks the laws of relativity, thereby transcending the speed of light. 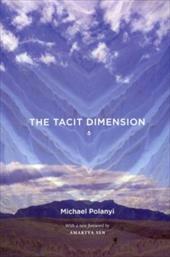 His extensive study of this fifth dimension ranges from relativity and ether theory to precognition, telepathy, and synchronicity, all from the perspective of the conscious universe. Presents a useful model of the psyche for understanding such phenomena as shamanism, mysticism, psychedelic states, spontaneous visionary experiences, and psychotic episodes. 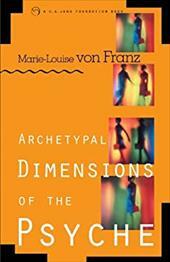 The chief disciple of C. G. Jung, analyst Marie-Louise von Franz uses her vast knowledge of the world of myths, fairy tales, visions, and dreams to examine expressions of the universal symbol of the Anthropos, or Cosmic Man--a universal archetype that embodies humanity's personal as well as collective identity. She shows that the meaning of life--the realization of our fullest human potential, which Jung called individuation--can only be found through a greater differentiation of consciousness by virtue of archetypes, and that ultimately our future depends on relationships, whether between the sexes or among nations, races, religions, and political factions. String theory says we live in a ten-dimensional universe, but that only four are accessible to our everyday senses. According to theorists, the missing six are curled up in bizarre structures known as Calabi-Yau manifolds. In "The Shape of Inner Space," Shing-Tung Yau, the man who mathematically proved that these manifolds exist, argues that not only is geometry fundamental to string theory, it is also fundamental to the very nature of our universe. Time and again, where You has gone, physics has followed. Now for the first time, readers will follow Yau's penetrating thinking on where we've been, and where mathematics will take us next. A fascinating exploration of a world we are only just beginning to grasp, "The Shape of Inner Space" will change the way we consider the universe on both its grandest and smallest scales. My poetry is mainly philosophical with awesome metaphors comparing city life with nature, some deeply psychological, others bordering on spiritual. Every life is a book of secrets, ready to be opened. The secret of perfect love is found there, along with the secrets of healing, compassion, faith, and the most elusive one of all: who we really are. We are still mysteries to ourselves, despite the proximity of these answers, and what we most long to know remains lodged deep inside. We all want to know how to find a soul mate, what career would be most fulfilling, how to live a life with meaning, and how to teach our children well. We are looking for a personal breakthrough, a turning point, a revelation that brings with it new meaning. "The Book of Secrets"--a crystalline distillation of insights and wisdom accumulated over the lifetime of one of the great spiritual thinkers of our time--provides an exquisite new tool for achieving just that. Because answers to the questions at the center of life are counterintuitive, they are often hidden from view, sequestered from our everyday gaze. In his ongoing quest to elevate our experience, bestselling author Deepak Chopra has isolated fifteen secrets that drive the narrative of this inspiring book--and of our lives. From "The World Is in You" and "What You Seek, You Already Are" to "Evil Is Not Your Enemy" and "You Are Truly Free When You Are Not a Person,"" The Book of Secrets" is rich with insights, a priceless treasure that can transport us beyond change to transformation, and from there to a sacred place where we can savor the nectar of enlightenment. 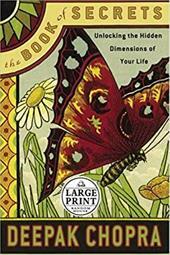 ""The Book of Secrets" is the finest and most profound of Deepak Chopra's books to date. Want the answers to the secrets of life? Let me recommend that you start right here." -- Ken Wilber, author of "A Brief History ofEverything"
This book is intended as an introduction to what soon may prove to be the most important theory of science...ever. It is a theory that is still evolving, but it already shows great promise of explaining the most fundamental mysteries of nature. The theory is based on the simple concept of miniscule vibrating strings as the source of all matter and forces in our universe. 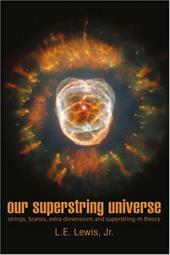 "Our Superstring Universe" begins with the big bang and traces the evolution of matter and force strings as they form and become the building blocks of our evolving universe. Then the focus shifts to the properties of strings and how they fit into the current knowledge of particle physics. The book concludes with discussions of the quest for experimental proof of strings and a look into the sometimes surprising, and always amazing, potential of superstring-M theory. The world around us is teetering on the edge between annihilation and salvation. And we, the people, have the power within ourselves to tip the scale one way or the other. Global changes are necessary, but we must first look to change ourselves, reach our human potential as individuals, before we can affect the community around us. In The Planets Align So Rare, you will discover that all of our human potential already lies within the fabric of our being; we only need to choose to make it real. Learn how to: empower yourself; achieve your personal and professional potential; live a happier, balanced life; and help create a more peaceful, loving world. By learning and implementing these life-changing ideas, you will undergo an emotional and spiritual evolution that will radiate outward to others. We are all leaders of this world and thus responsible for the global evolution that must take place to ensure humanity's survival. A new edition of the New York Times bestseller--now a three-part Nova special on PBS coming in Fall 2003. NOW WITH A NEW PREFACE that will review the enormous public reception of the relatively obscure string theory--made possible by this book and an increased number of adherents amongst physicists--The Elegant Universe "sets a standard that will be hard to beat" (New York Times Book Review). Brian Greene, one of the world's leading string theorists, peels away the layers of mystery surrounding string theory to reveal a universe that consists of eleven dimensions, where the fabric of space tears and repairs itself, and all matter--from the smallest quarks to the most gargantuan supernovas--is generated by the vibrations of microscopically tiny loops of energy. 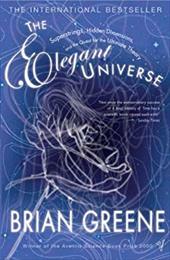 Brian Greene, one of the world's leading string theorists, peels away layers of mystery to reveal a universe that consists of eleven dimensions, where the fabric of space tears and repairs itself, and all matter--from the smallest quarks to the most gargantuan supernovas--is generated by the vibrations of microscopically tiny loops of energy. 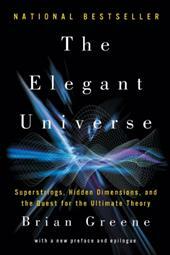 The Elegant Universe makes some of the most sophisticated concepts ever contemplated accessible and thoroughly entertaining, bringing us closer than ever to understanding how the universe works. Edwin Abbott's beloved mathematical adventure novel "Flatland" (1884) is being introduced to a whole new generation of readers and viewers through "Flatland: The Movie," a dramatic computer-animated adaptation starring Martin Sheen, Kristen Bell, Michael York, Tony Hale, and Joe Estevez. This book is the companion to the movie--and the ultimate edition of the classic book on which it is based. 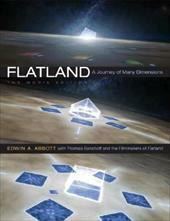 A beautiful, large-format volume, "Flatland: The Movie Edition" includes: the full text of the original novel; the screenplay of the movie; essays on the making of the movie by the writers and filmmakers--producer Seth Caplan, director Jeffrey Travis, and director and animator Dano Johnson; color illustrations; and a new introduction by Thomas Banchoff, a Brown University mathematician and "Flatland" authority who served as an advisor to the filmmakers. By describing the challenges the filmmakers faced in updating a Victorian mathematical allegory for a new generation and transforming it into a compelling animated story, "Flatland: The Movie Edition" makes watching the movie and reading Abbott's book even more illuminating and enjoyable. You'll never think about the multiple dimensions of space in the same way again. 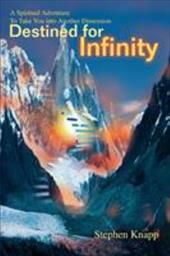 In "Destined for Infinity," a Westerner embarks on a mystical adventure to the Himalayan Mountains and is transported to a new and enlightening spiritual dimension. 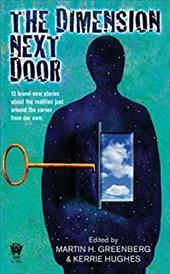 Hidden deep within the religious practices of India exist doors that lead to various levels of reality. Few people outside these mystical circles have been able to access these layers. 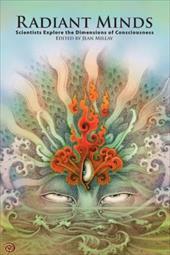 Adventurous hero Roman West probes the deep secrets of East Indian mysticism under the guidance of a spiritual master he meets in the Himalayas. Roman witnesses the amazing powers that mystics can achieve and undergoes some of the most unusual experiences of his life. He gradually develops mystical abilities of his own and attains the sacred vision of the enlightened sages, ultimately entering the unfathomable realm of "infinity." Roman's peaceful life in the hills comes to an abrupt end when he is thrust into battle with powerful, sinister beings unleashed to kill both him and his master. His only chance for survival depends on his ability to arouse the spiritual strengths he has worked to perfect over many months of study. 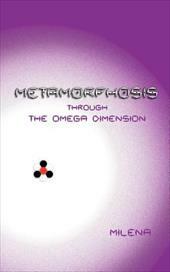 Metamorphosis through the Omega dimension is the author's personal testimonial on positive changes "The Knowledge Book" has made on her life and her insightful elucidation of this cosmic book.It is a compact writing that offers a novel vista to those in search of a fresh perspective on meaning and fulfilment in life. It follows human evolution over the last 6000 years and reveals the relevance to the human evolvement path of the notions Resurrection, Last Judgement and Salvation introduced in the sacred books.The author also elaborates on the demands of the current evolutionary moment on Earth. She exposes human cosmic destiny and offers answers to a rich plethora of existential questions like: Why are we here on this planet right now? What are the reasons behind the experiences we go through? What are our choices? What does the future called the Golden Age hold for us both on this planet and beyond?The focus of the book is on how one becomes a genuine human being and why the energy of the Omega dimension is important in that process. The sources of the Omega energy, the most efficient ways to assimilate it, and the resulting physical and spiritual transformation of an individual are explained. 13 original stories about the realities just around the corner... Movements glimpsed out of the corner of your eye, inexplicable sounds, knowledge for which there is no rational explanation, dreams that seem as real as our own everyday lifeaproducts of overactive imaginations, or unexpected glimpses into dimensions beyond our own? Join thirteen intrepid writers as they explore those unknown territories that may be found in any of countless Dimensions Next Door. From a Celtic knot maze that could trap an unwary archaeologist; to an Internet site that offers to bring karmic balance into one manas life; to a man bespelled to walk the future in the service of his queenahere are tales of the strange, challenging, and often wondrous worlds just waiting to be discovered by those with the ability to perceive them. 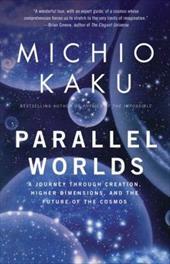 In this thrilling journey into the mysteries of our cosmos, bestselling author Michio Kaku takes us on a dizzying ride to explore black holes and time machines, multidimensional space and, most tantalizing of all, the possibility that parallel universes may lay alongside our own. Kaku skillfully guides us through the latest innovations in string theory and its latest iteration, M-theory, which posits that our universe may be just one in an endless multiverse, a singular bubble floating in a sea of infinite bubble universes. If M-theory is proven correct, we may perhaps finally find answer to the question, "What happened before the big bang?" This is an exciting and unforgettable introduction into the new cutting-edge theories of physics and cosmology from one of the pre-eminent voices in the field. 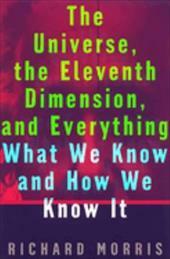 The concept of multiple unperceived dimensions in the universe is one of the hottest topics in contemporary physics. It is essential to current attempts to explain gravity and the underlying structure of the universe. 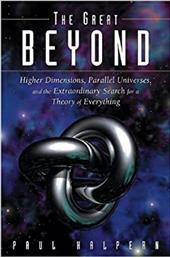 "The Great Beyond" begins with Einstein's famous quarrel with Heisenberg and Bohr, whose theories of uncertainty threatened the order Einstein believed was essential to the universe, and it was his rejection of uncertainty that drove him to ponder the existence of a fifth dimension. 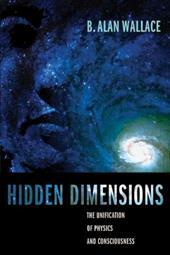 Beginning with this famous disagreement and culminating with an explanation of the newest "brane" approach, author Paul Halpern shows how current debates about the nature of reality began as age-old controversies, and addresses how the possibility of higher dimensions has influenced culture over the past one hundred years. Vywamus explains the process of exploring and experiencing the dimensions. 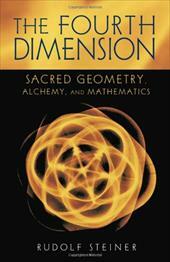 He teaches an integrated way to utilize the combined strengths of each dimension. 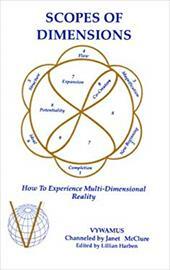 It is a how-to guidebook for living in the multidimensional reality that is our true evolutionary path. Humanity's love affair with mathematics and mysticism reached a critical juncture, legend has it, on the back of a turtle in ancient China. As Clifford Pickover briefly recounts in this enthralling book, the most comprehensive in decades on magic squares, Emperor Yu was supposedly strolling along the Yellow River one day around 2200 B.C. when he spotted the creature: its shell had a series of dots within squares. To Yu's amazement, each row of squares contained fifteen dots, as did the columns and diagonals. When he added any two cells opposite along a line through the center square, like 2 and 8, he always arrived at 10. The turtle, unwitting inspirer of the ''Yu'' square, went on to a life of courtly comfort and fame. 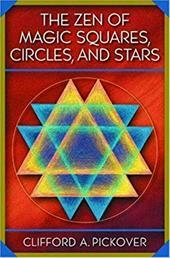 Pickover explains why Chinese emperors, Babylonian astrologer-priests, prehistoric cave people in France, and ancient Mayans of the Yucatan were convinced that magic squares--arrays filled with numbers or letters in certain arrangements--held the secret of the universe. Since the dawn of civilization, he writes, humans have invoked such patterns to ward off evil and bring good fortune. Yet who would have guessed that in the twenty-first century, mathematicians would be studying magic squares so immense and in so many dimensions that the objects defy ordinary human contemplation and visualization? Readers are treated to a colorful history of magic squares and similar structures, their construction, and classification along with a remarkable variety of newly discovered objects ranging from ornate inlaid magic cubes to hypercubes. Illustrated examples occur throughout, with some patterns from the author's own experiments. The tesseracts, circles, spheres, and stars thathe presents perfectly convey the age-old devotion of the math-minded to this Zenlike quest. Number lovers, puzzle aficionados, and math enthusiasts will treasure this rich and lively encyclopedia of one of the few areas of mathematics where the contributions of even nonspecialists count. Sometimes the smallest keys open the biggest doors. . . In the depths of your heart are the keys that the saints of East and West known as the Great White Brotherhood have found. These saints, from every race and religion, have used these keys to unlock the fire of the Higher Self, to open the door to new dimensions of being--cosmic consciousness. 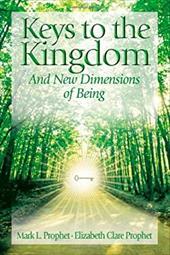 Mark and Elizabeth Prophet have outlined practical yet profound principles, keys that can open the door to a new life. In this enriching collection of eleven interrelated essays, the ancient relationship of art, order, and craft is explored. 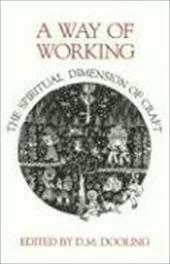 Craft is considered as a "sort of ark" for the transmission of real knowledge about being, and about our deep creative aspirations. aspirations. Contributions from D.M. Dooling, Joseph Cary, Paul Jordan-Smith, Michael Donner, Harry Remde, Jean Kinkead Martine, Jean Sulzberger, Chanit Roston, and P. L. Travers. The Work is by this group of authors writing not as individuals but as members of a community. Power-hungry male government officials of eleven planets had created eleven black holes by imploding their planets and jettisoning ruling-class members to free zones created on the other sides of the black holes. By isolating themselves in these free zones, the officials believed they would obtain the power of creation. These arrogant men theorized that they could replace the Great Oneness, the life force of the E, and the vortex of energy known to all as the Ancient One, thus creating a New World Order. The officials found out, however, that the black holes were portals that allowed passage back into dimensions that were parallel to those that they destroyed. The officials theorized that they needed to destroy these parallel dimensions to attain ultimate power. A plot was therefore devised to implode planet Clarion and jettison its ruling-class members to a free zone on the other side of a twelfth black hole while simultaneously imploding the parallel dimensions associated with the eleven previously formed free zones. E-Masters, whose duty was to maintain balance in the universe, met to discuss the impending plot. The E-Masters were told that the Ancient One had placed an evolutionary leap of awareness within a boy named MZ, who was born in hiding on planet Clarion. The E-Masters recognized that MZ must develop mastership to avert universal disaster caused by the impending implosions of Clarion and the eleven black holes. 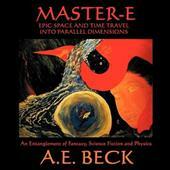 E-Master Traveler Z was working to prepare MZ for his E-Master development and his escape from Clarion. It was hoped that instruction received at mystery temples and during his travels, along with guidance from Traveler Z, would allow MZ to pass tests of Master-E and attain mastership before it was too late. This revised and expanded edition of Barbara and Gerry Clowas classic 2004 text. 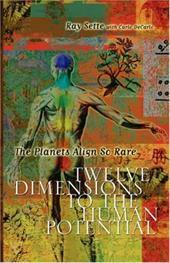 This sequel to the bestselling underground classic The Pleiadian Agenda, outlines their theory of the nine dimensions of human consciousness and how those nine dimensions have become essential to our evolutionary survival. Incorporating the research and insight of the Swedish biologist Carl Calleman, the Clows demonstrate how recent scientific discoveries validate their theories. 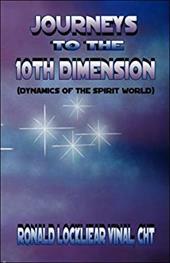 The existence of the nine dimensions of human consciousness can be proved by science. 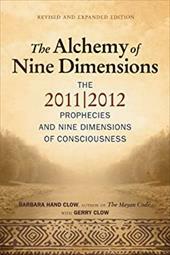 The most controversial aspect of this book is their exploration of the Mayan prophecies. Counter to much of the prevailing opinion, the fulfillment of the prophecies will not result in the Apocalypse, but will usher a new and expanded era of human consciousness. They also assert that the beginning of this new era begins not on December 21, 2012abut on October 28,2011amaking the time of the great shift in consciousness just around the corner. 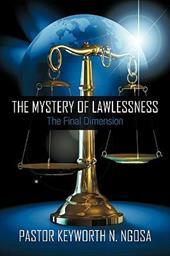 Provocative and informative, the Clows have provided an explanation and roadmap for the future. It will be embraced by all who are interested in the evolution of human consciousness. 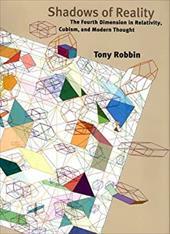 In this insightful book, which is a revisionist math history as well as a revisionist art history, Tony Robbin, well known for his innovative computer visualizations of hyperspace, investigates different models of the fourth dimension and how these are applied in art and physics. Robbin explores the distinction between the slicing, or Flatland, model and the projection, or shadow, model. He compares the history of these two models and their uses and misuses in popular discussions. Robbin breaks new ground with his original argument that Picasso used the projection model to invent cubism, and that Minkowski had four-dimensional projective geometry in mind when he structured special relativity. The discussion is brought to the present with an exposition of the projection model in the most creative ideas about space in contemporary mathematics such as twisters, quasicrystals, and quantum topology. Robbin clarifies these esoteric concepts with understandable drawings and diagrams. Robbin proposes that the powerful role of projective geometry in the development of current mathematical ideas has been long overlooked and that our attachment to the slicing model is essentially a conceptual block that hinders progress in understanding contemporary models of spacetime. He offers a fascinating review of how projective ideas are the source of some of today's most exciting developments in art, math, physics, and computer visualization.